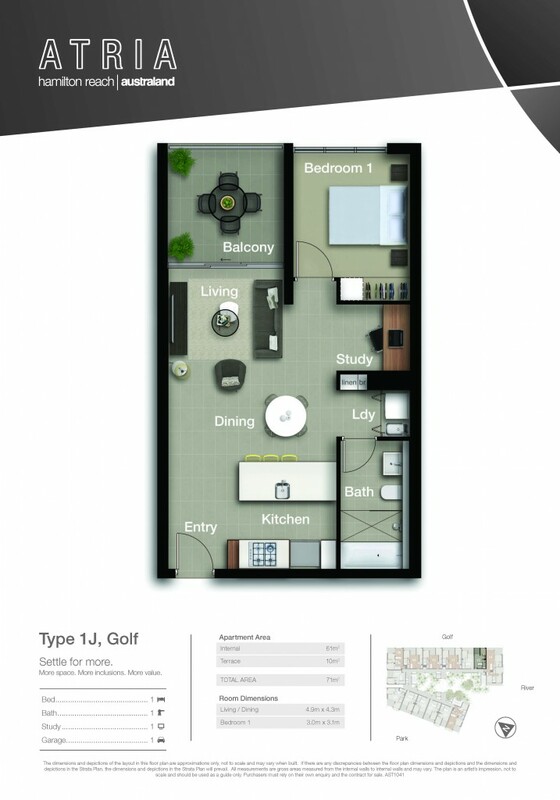 Atria has to offer a luxury unfurnished 1-bedroom plus study that has been finished using high quality materials. No money has been spared at Atria. Enjoy an open plan living area leading to a large balcony with views towards the City and Brisbane River and featuring a ceiling fan, electricity points and a gas point for your BBQ. Large entertainers' kitchen including stone bench tops, Bosch appliances and a good size island bench providing lots of space for cooking. The elegant bathroom has been completed with a large separate bathtub and shower giving you the choice of both luxuries. All apartments include security intercom system, high-speed fibre optic broadband, ducted air conditioning, and one secure car park.